It reminded me of something Tec Toy produced for the Brazilian market. Some arrangement that involves buying the distribution rights from Sega but Sega otherwise having no involvement. 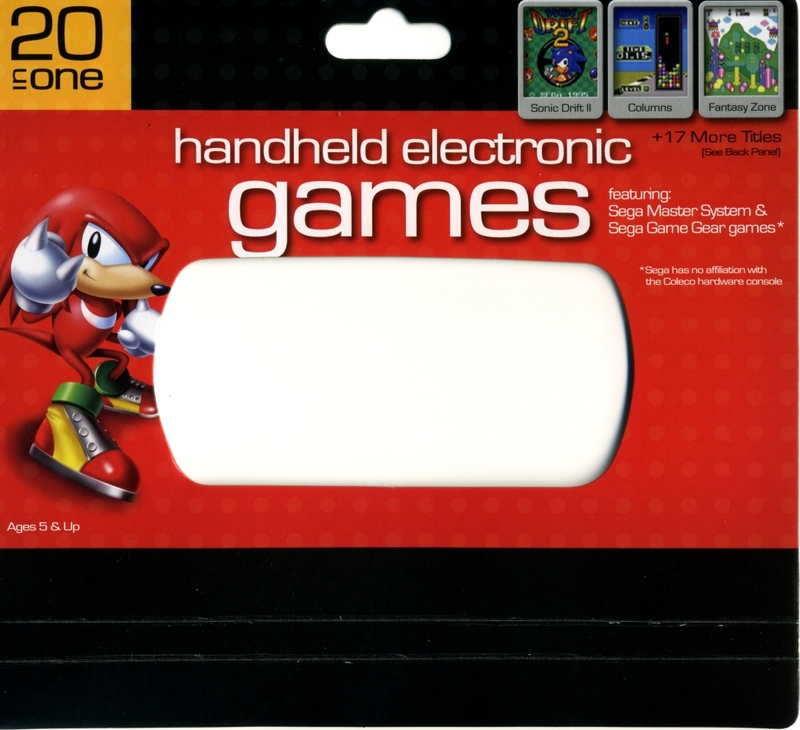 Whatever the case, someone wanted to make it clear that this was not a Sega product. The price was a tad high so I decided to check online to see if anyone had it for less. After scanning a few forums I found that it was a Target exclusive and was rather tough to find. I returned the next day to grab one. I'm a bit late to review this item. I've literally had it sitting on a shelf unopened for a year now. Others have already reviewed it too but whatever.. this is a very interesting little system so I can't resist throwing my hat into the ring. I was surprised by the quality of this system. The unit feels rather durable, I don't plan to stress test it of course. 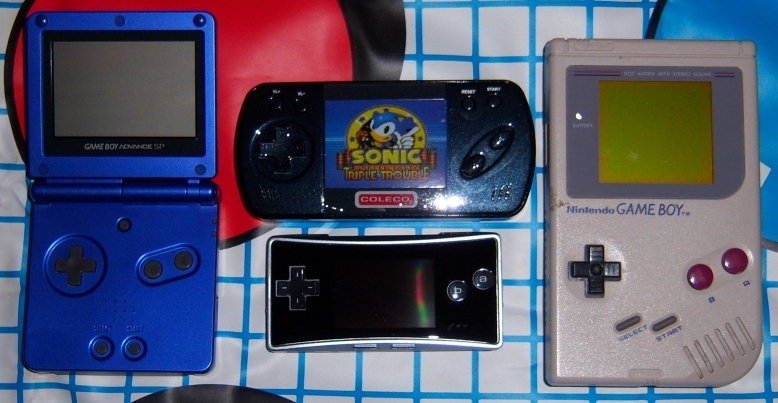 It's considerably better quality than the average handheld game but below a "real" Game Boy. 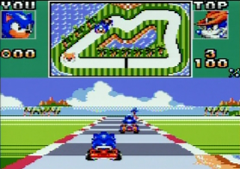 The screen is bright with adequate resolution for the games. The built-in speakers are decent, arguably better than the GBA SP. It requires 3xAAA batteries and has an optional DC input jack. 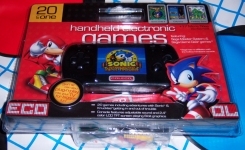 No idea where you'd find the power adapter, maybe the one for the Jakks Pacific games works? No big deal, even with the batteries in it's an incredibly light system. There are volume controls and a head phone jack for those playing in public. It also has a notch on the side where you could presumably add a wrist/belt strap. By far, the coolest accessory it sports is the AV out jack which allows play on a regular television. The picture is not as good as a real Sega Master System but it's perfectly playable. The only negative is that the "Start" button is a tad deceptive. There was no "Start" button on the Sega Master System so when a game says "Press Start" it really means "Press the A or B button". 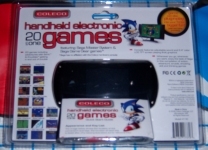 The Game Gear had a "Start" button though so it works for those titles. Someone unfamiliar with these systems will find this annoying. 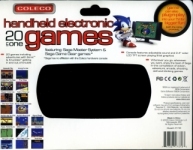 Alex Kidd in High Tech World: It's a shame to have to start with this one. I really don't see the appeal of this game. It starts off like the world's most boring adventure game, I've never been able to play it for long. Alex Kidd in Miracle World: Unlike the previous game, this is an excellent installment in the Alex Kidd series. It's still a blast 20+ years after its initial release and was an obvious choice to include on this collection. It plays very well on this handheld and is my personal favorite of the bunch. Altered Beast: This didn't port well to the Master System. There's considerable flicker and the lack of a proper jump button makes it unnecessarily difficult. Aztec Adventure: This is one of these dorky-looking Master System games that turns out to be OK. Assault City: This was obviously intended for the light gun and doesn't translate well to the handheld format. Astro Warrior: This is a basic shooter that's fun and simple. Bomber Raid: Another basic shooter, also easy and enjoyable (but not especially memorable). There are times when the background and sprites blend together making it tough to tell what's happening. Columns: The Columns games are probably my least favorite of the "stacking stuff that's falling from the top of the screen" genre. OK, I guess they're better than Hatris. 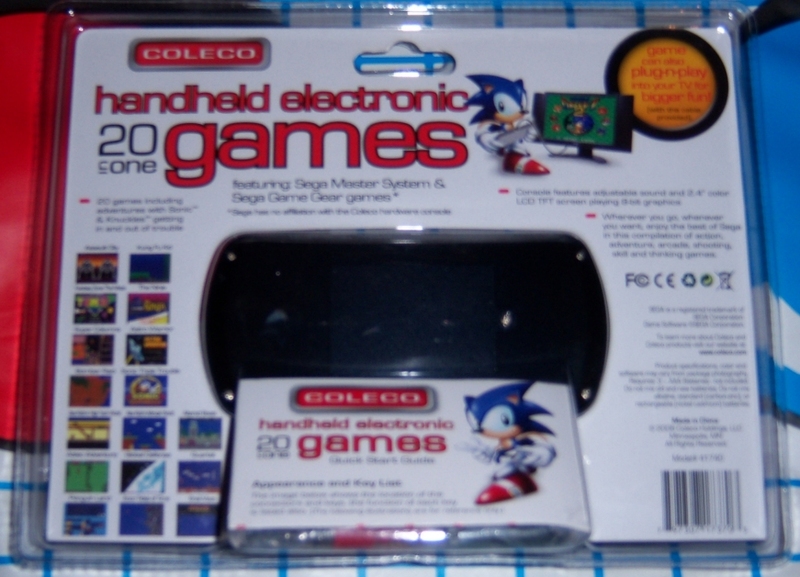 This handheld needed at least one puzzle game on it and Columns gets the job done. 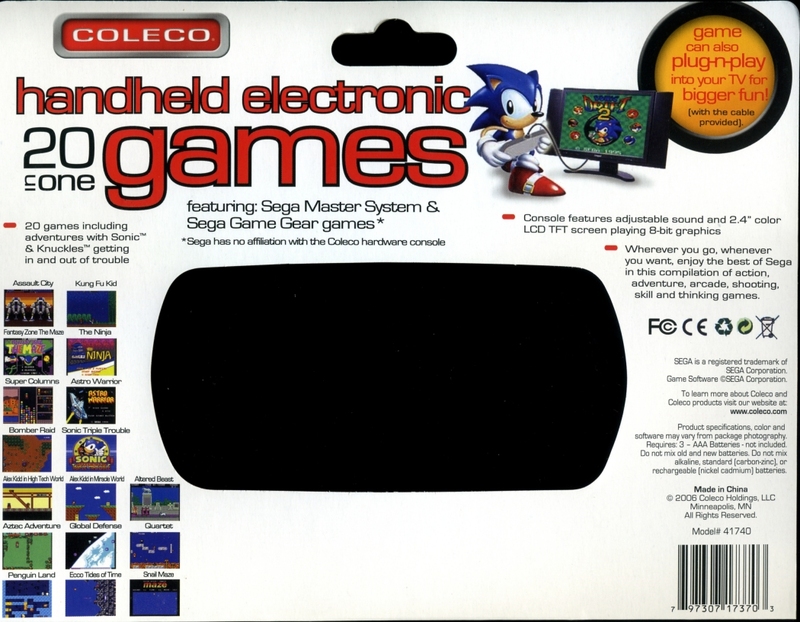 Ecco Tides of Time: This is the Game Gear version of this title, looks and plays pretty well. The only real complaint is having to use the Start button as an action button (a frequent hacky solution for Game Gear games). Fantasy Zone: I know this is considered a "must have" Master System game but I don't really get the appeal. For some reason I can't handle the control on this to save my life. Then again, I have the same problem with Defender so maybe it's some mental defect. Fantasy Zone The Maze: Eh, this doesn't do much for me either. Global Defense: This is a bit like Missile Command, much harder though. Kung Fu Kid: OK, the jumps are downright comical but this is still an enjoyable game. Penguin Land: This is a decent action/puzzle game that's vaguely reminiscent of Solomon's Key. Quartet: Never played this one before but it turned out to be alright. Reminds me of Target Earth for some reason. Snail Maze: If you thought this was tough on the original console, just try playing it on a tiny LCD screen. Sonic Drift 2: This is an obvious Super Mario Kart knockoff that does the best it can on the hardware. I can't knock it because it does a great job with the resources available. Sonic Triple Trouble: This is a darn good Sonic game, again considering the hardware limitations. Of it's relatives, it's closest to Sonic 3, which is tough to pull off on an 8-bit system. 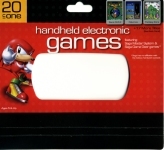 Somehow they managed to stretch that Z80 into producing a very playable Sonic game. Super Columns: A respectable upgrade to the original. Seems a little unnecessary to have two versions of Columns, makes the inclusion of the original come across like padding to hit the magical 20 game count. The Ninja: This game is harder than it needs to be. It's basically Commando with a higher difficulty setting. I can't last more than a few minutes. Overall, I'd have to say the system is worth it. It's a good way to collect a few memorable Master System games and considerably better than most direct-to-TV systems. 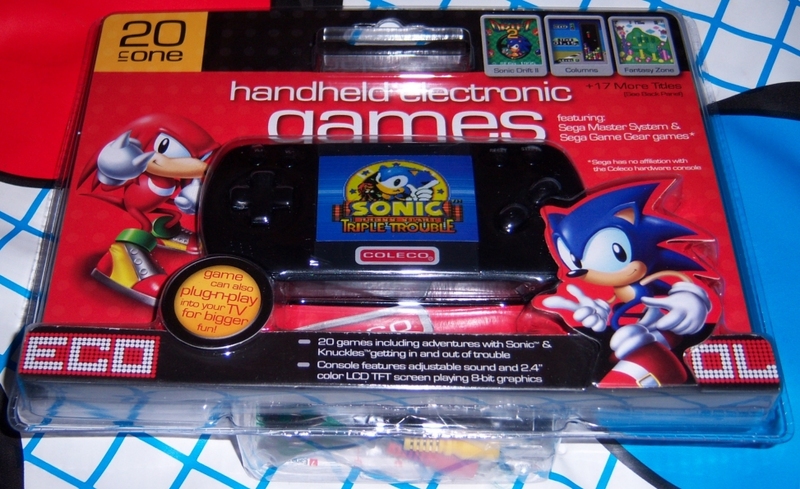 Obviously an old Sega fan would appreciate it more, but I think any classic gamer can get some mileage out of this handheld. Yeah, the game selection is a little hit-and-miss. 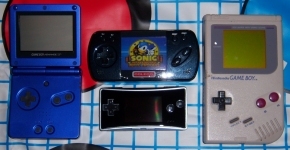 Alex Kidd in Miracle World and Sonic Triple Trouble being the highlights, both good enough to compensate for the duds. If you can find it, go ahead and buy it.